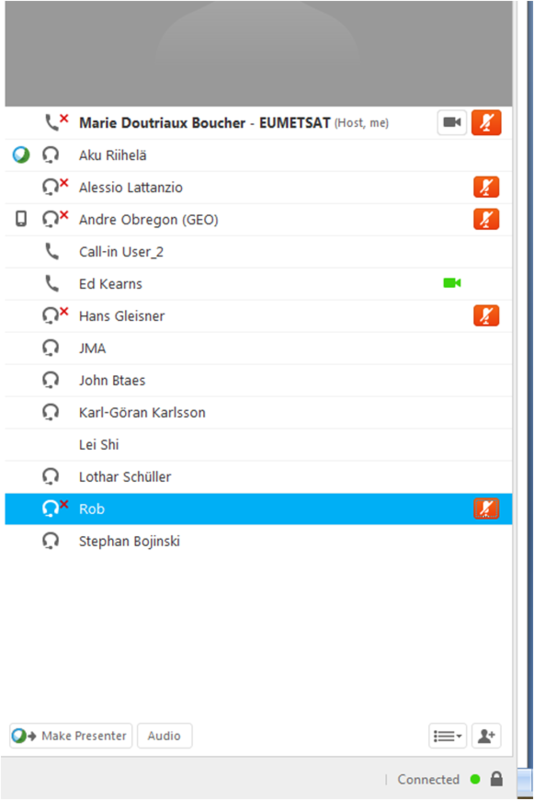 17 persons attended the webex meeting (Ed Kearns, Marie Doutriaux-Boucher, André Obregón, Lothar Schuller, Joerg Schulz, John Bates, Stephan Bojinski, Lei Shi, Aku Riihelä, Alessio Lattanzio, Karl-Göran Karlsson, Rob Roebeling, Hans Gleisner, Ken Knapp, Arata Okuyama,Toshiyuki Kurino, and Kazuki Shimoji). 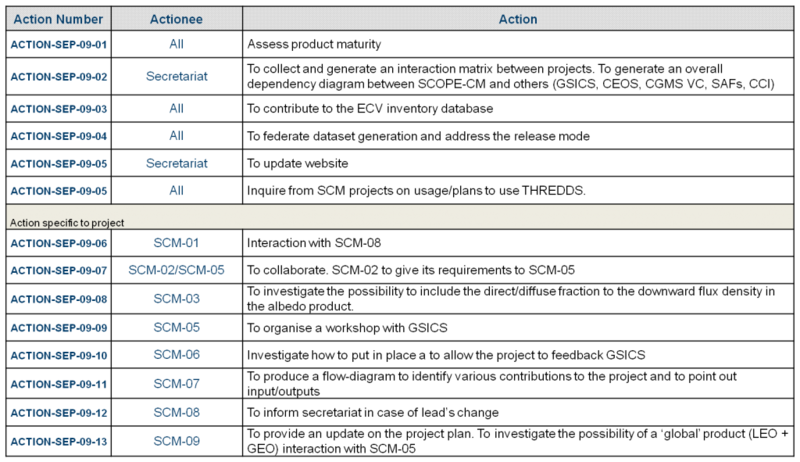 All projects were represented except SCM04 and SCM07. Ed Kearns is now the new chair of SCOPE-CM. Andre André Obregón was attending as the new GEO representative. He will replace Espen Volden. Kerry Sawyer was excused. The next SEP meeting will be held in Geneva at WMO headquarter on the 23rd and 24th March 2015.